The Special Education Teacher is responsible for ensuring that all special education students receive comprehensive, compassionate and equitable services in order to achieve breakthrough academic achievement and character development. The Special Education Teacher will serve as an intervention specialist to assist teachers in helping every child meet grade level goals and will oversee the program and systems for all students who receive special education services. All KIPP Austin staff has a responsibility for ensuring that every KIPP Austin student achieves the academic skills, intellectual habits and character traits necessary to succeed in the nation's top colleges and universities. We are currently seeking Special Education Teachers for our middle schools and high schools. The Wardlaw School for children with dyslexia is currently seeking an outstanding professional to serve as classroom teacher in our multi-disciplinary, collaborative educational environment. The Wardlaw School is dedicated to serving children with average to very superior intelligence and mild to moderate dyslexia (reading disability). Children accepted into the Wardlaw School may exhibit underlying auditory and/or language processing problems that make it difficult for them to learn in their present educational setting. Our students are between the ages of 5 and 12 years old and are in kindergarten through 6th level. Wardlaw School students typically have a diagnosis of dyslexia or "red flags" for the disorder. They may also have difficulty understanding and/or using spoken language, expressing themselves through written language, or experience mathematical difficulties. A Master's degree in learning disabilities, reading, speech/language pathology, or special education is required. All candidates should possess or be eligible for a current Georgia teaching certificate, eligibility for Georgia certification and/or certification from the American Speech-Language and Hearing Association as appropriate. An understanding of the interaction between language and learning is expected and training in at least one multi-sensory reading method is desirable. Experience is preferred. This 190-day, full-time school position offers a generous benefit package including health/dental/life/vision and long term disability insurance; the School subsidizes health insurance premiums of staff and families. Other benefits include Flexible Spending Account; 403(b) Plan; cost reduction of some Atlanta Speech School services; complimentary meals during work hours; and accrued sick leave. Please submit all of the following documents to ensure that your information is considered: cover letter, resume, copies of certificates and/or license, college transcript, and written submission describing how your particular skills, talents, and/or expertise would be beneficial to the Wardlaw School (please limit to 500 words). Special Education Teachers - Will Relocate You! Explore your passion for education and being a part of a culture where students learn; personal empowerment, self-determination and resiliency through a mind-frame of personal accountability! Relocation Assistance: Eager to give up your ice-scraper and snow shovel? Consider relocating to beautiful Phoenix, Arizona. We are hiring across the Valley! 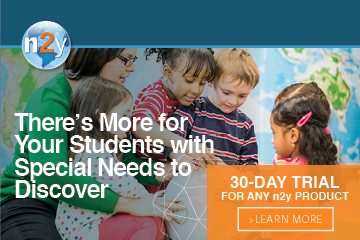 We'll help get you relocated to the Phoenix, Arizona area and provide relocation assistance, Sign-On bonus, AZ State Certification Licensure Fees, and AZ IVP Fingerprint Card fees for Special Education Teacher qualified candidates. 2017-2018 School Year positions in Buckeye, Surprise, outlining Phoenix, Gilbert, Queen Creek - across the Valley! Ask about our relocation package! Move to sunny Phoenix where we bask in sunshine more often than any other major metropolitan area in the U.S. The sun shines on Phoenix during 85 percent of its daylight hours and for 300 days! Desert Choice Schools utilizes a highly-structured, school-wide Positive Behavioral Supports program that teaches students Academic, Social/Emotional Problem-Solving and Strategies. All DCS teachers and support staff are trained in a unique methodology that assists students with maintaining Positive Choice-Making. We are a tight-knit team that values colleagues who exhibit collaboration, integrity and the desire to make a difference in the lives of students who struggle to be successful, and who share a passion to help children and their families. Desert Choice Schools/Learn It Systems offers a competitive compensation plan, comprehensive benefits and 401(k)plan. We are most proud of Desert Choice Schools' collaborative team approach, professional development, and structured, strong mentorship program. The Graham Academy has immediate openings for special education positions within both their autism support and emotional support K-12 classrooms. The Graham Academy is a private academic K-12 school for students living with autism and students living with emotional challenges to excel in life through communication, exploration, opportunity, acceptance, and accountability. Include name and position applying for in subject line. Work a four day week in sunny Arizona! Kingman Unified School District is now hiring Elementary, Middle and High School Special Education Teachers for the 2017-2018 school year. We offer a great, low cost, quality of life in a small city just 90 minutes from Las Vegas. Enjoy our “45-10” school calendar that features a two week Fall Break, Winter Break, and Spring Break, not to mention seven weeks off each summer! We also have a comprehensive medical, dental, vision and life insurance package with ZERO out of pocket costs for premiums. The District actually contributes $18 per month into a Health Savings Account for you! Whether you enjoy the bright lights of the big city in Las Vegas or Phoenix, or the twinkling lights of stars in a night sky over the Grand Canyon, Kingman is the spot for you! Apply today! Arizona Teacher Certification or Bachelor’s Degree and ability to obtain Arizona Teacher Certification (traditional or alternative pathway). Please reach out to Human Resources Department 928-753-5678 Ext.2007 with questions. Highly Qualified Special Education Teachers receive a $2,000 signing bonus and $2,500 compensation for case management. Our TIF5 (Teacher Incentive Fund) Grant will also pay returning teachers, who are rated as effective, upwards of $5,000 in the Fall of 2019. Get in on the ground floor of this opportunity! Please email your resume to Human Resources Director: Heather Shaw-Burton hshawburton@kusd.org or apply online at www.kusd.org. We would love to welcome you to Kingman! You may also become eligible for additional income through a wide array of incentives and school positions that will stretch and challenge you as an educator. You might earn additional grants by teaching in a select, high-need school as part of our Teachers of Tomorrow program, or by helping your colleagues develop in one of our many teacher leadership roles . Elgin Community College (ECC) is a comprehensive, fully accredited community college located in Elgin, Illinois, one of its most rapidly growing cities. Our district encompasses 360 square miles, serving 400,000 people, 11,000 businesses with four public school districts and 15 high schools. ECC was selected as one of five Illinois community colleges to participate in the national Achieving the Dream (AtD) initiative. is a long-term national initiative that collaborates with community colleges to help more students earn degrees, complete certificates, or transfer to four-year institutions to continue their studies. The park-like setting of our 145 acre Main Campus offers instruction spanning nine major buildings with beautiful views. ECC also offers classes throughout the northwest suburbs of Chicago with more than 100 off-campus locations. Serves as the college's ADA Coordinator for students and college liaison. Per the ADA laws, provide accommodation services to students with disabilities; i.e., sign language interpreters, accommodation letters, audio texts, other assistive technology/devices, test reader/writer services. Document and track students and services and provide information to various administrative offices as needed; i.e., Institutional Research. Some evenings will be required. Two to three times per month, this position will have the responsibility as an evening administrators and will work from 10 am - 7 pm on those assigned dates. May also be required to facilitate presentations on ADA compliance issues and the Disability Services program to faculty at the beginning of each term on a Saturday. 1. Update/write Administrative Procedures for disabilities; oversee ADA compliance; liaison with college's legal department, ICCB, & Office of Civil Rights. 2. Collect, analyze, & authorize disability accommodation information. Compose individualized accommodation letters for students to present to faculty. Maintain confidential disability documentation. 3. Provide required accommodations including sign language interpreters, audio texts, test reader/writers, Learning Ally membership for students, software/hardware purchases or updates, furniture needs. 4. Act as liaison for students, parents, faculty, college departments, high schools, disability agencies and organizations. 5. Supervision of SAIL, 300+, contractual sign language interpreters. 6. Prepare/update MOUs and ensure compliance. 7. Serve as ADAPT club advisor. 1. 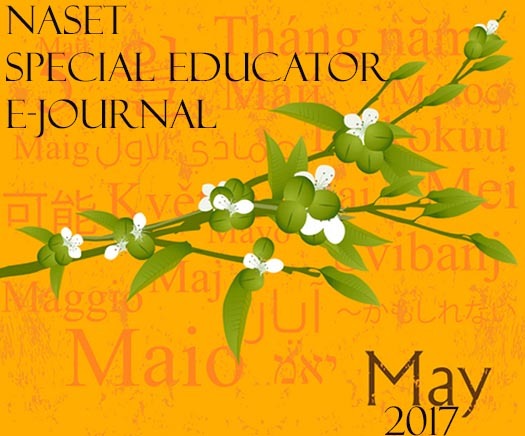 Master's degree (MA) or equivalent in Special Education. 2. Three years working with students with disabilities in higher education. 3. Knowledge of high school special education programs. 4. Working knowledge of current ADA, 504 and other disability laws and regulations. 5. Excellent listening, speaking, reading, writing communication skills. 6. Excellent computer skills and software knowledge including Microsoft Office which includes Word, Excel, PowerPoint and Outlook. 7. Knowledge and comprehension of FERPA and confidentiality requirements. 1. Working knowledge of Ellucian Colleague or other ERP software.